With the release of the summer blockbuster Star Trek: Into Darkness, I started thinking about the Star Trek universe, Trek-nology, and what it would be like if avast! Antivirus was adopted by Starfleet. Wouldn't it be amusing to hear the voice of the computer echoing through the bridge, “avast! Virus Database has been updated”? ;-) As Captain Picard would say, "Make it so!" Our beloved U.S.S. Enterprise, space station Deep Space 9, the far-flung Voyager, and even the sentient android Data experienced computer malfunctions, some of them caused by a virus. Here are a few episodes that come to mind as I imagine the possibility of avast! in the Final Frontier. Captain Jean-Luc Picard is a student of archaeology. When a distress call comes in from the U.S.S. Yamato, engaged in an archeological investigation looking for the legendary planet Iconia, the Enterprise responds right away. But not in time to save the 1000+ crew and ship from destruction due to a computer virus. The weaponized virus was transmitted by a scan from an Iconian probe and caused dangerous systems failures by overwriting software. The Enterprise becomes infected when it downloads the Yamato logs. During the investigation, a Romulan Warbird shows up and an interstellar incident becomes imminent. Apparently Starfleet's ships don't come equipped with virus protection software because the Yamato was destroyed when hostile, malicious threats took over their computer system, and the Enterprise was threatened as well. Avast’s shields protect different aspects of computer functions. If anything suspicious is detected, the file system shield will prevent the program from being started or the file from being opened to prevent any damage being caused to your computer and data. The U.S.S. Enterprise is at Starbase 74 for a maintenance layover. Service and software upgrades, including an overhaul of the Enterprise's main computer, are being made by the Bynars, alien technicians who work as unified pairs. While in dock, the Bynars stage a fake warp core breach and all personnel are evacuated. Unknowing of the situation, Captain Picard and Commander Riker are in the newly repaired and enhanced holodeck, distracted by a charmingly responsive hologram woman named Minuet in a New Orleans Jazz club. The incident is later learned to have been engineered by the Bynars in an effort to save their home planet Byanus. Their main computer system was damaged in a supernova, and the data was backed up in the Enterprise's main computer. The Bynars used scareware and social engineering in their desperate attempt to steal the Enterprise. They staged a fake emergency similar to bogus antivirus programs that urgently claim you have hundreds of threats and have to take immediate action, which includes sending them money. The beautiful hologram, Minuet, was designed like hard-to-resist social media scams enticing you to click further. Avast's fully integrated firewall could monitor all communication between the Enterprise's computer and the outside world and can block unauthorized communication, therefore limiting external connections. Avast! would, of course, have built-in protection to detect mischievous holograms. Look for it in an upcoming version. On space station Deep Space 9, a hibernating virus designed by the Bajorans 18 years earlier to infect their enemies the Cardassians, turn replicators into bots and eventually infect people through the atmosphere causing them to speak incoherently. (We told you that viruses can jump from computers to people!) A weary Chief O’Brien attempts to fix broken down systems under pressure from Commander Sisko. 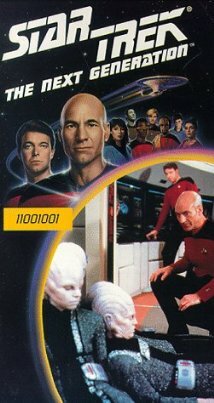 Quark complicates matters by hacking the Starfleet computer to find a replicator that works so he can continue serving at his bar. We are the Bot. You will be assimilated. The Bajoran virus created a botnet which turned the DS9 replicators into zombies which spread the infection around the station. Each time someone would use the replicator to create, for example a cup of coffee, the malware would be executed. When the Bajoran application started, avast! would have detected it, and automatically run the application in the avast! Auto-Sandbox. That would have given the Chief time to check the suspicious application while remaining completely protected against any malicious actions that it might try to perform. Avast! Antivirus is obviously needed in the Star Trek universe of the 23rd century. Hackers, scammers, and cybercrooks continue to take advantage of various humanoid and machine vulnerabilities. As we wait for Zefram Cochrane to invent warp drive, first contact to be made, and the United Federation of Planets to be established, our developers are working on LCARS compatibility and avast! Free Antivirus for PADDs, tricorders, and the occasional android too.